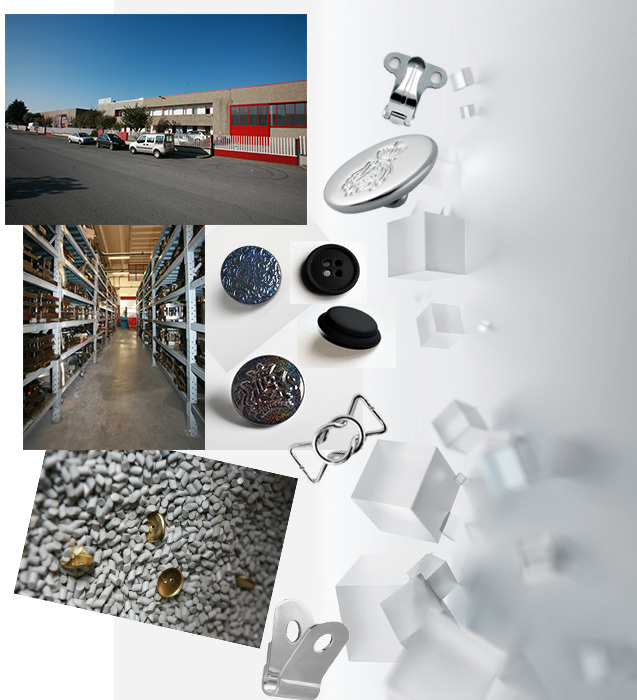 Many of our articles can be finished with different types of metal textures. 2055 Retwisted hook and eye closure "rope effect"
1973 Button with Welded Shank - GR Minuterie Metalliche. The fashion accessories in our catalogue are completely manufactured by us. For over 30 years we have been operating in fashion accessories for the clothing and leather industry, offering our clients a wide range of quality products. We are the ideal partner to help you reach your goals. Thanks to continuous technological advancement and consistent upgrading of machinery and structures we are able to make templates and equipment of any kind very quickly. Our way of being has an all-Italian character, it is tied to the deepest tradition of Made In Italy, where technology is fused with style and artistic inspiration. 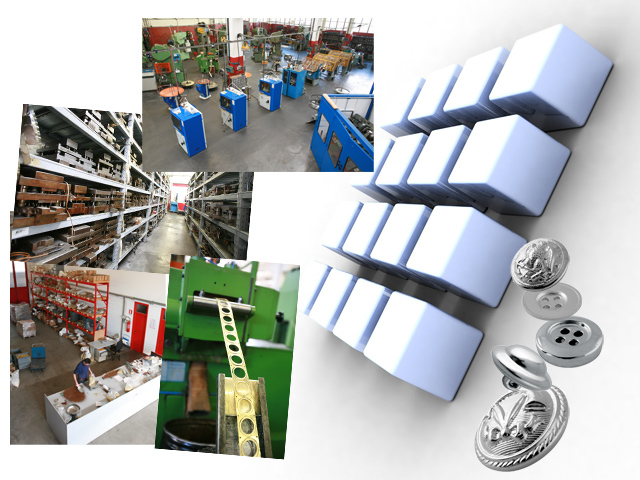 The success of our company is due to the high quality of our products and it is guaranteed by decades of experience, investments, training and specialization of the personnel.